No trip to the Texas Gulf Coast is complete without an exciting saltwater fishing trip and here’s your chance to find out how exciting Matagorda Bay fishing can be! Matagorda Bay fishing guides Capt. Charlie Paradoski caters to the experienced and novice angler alike. 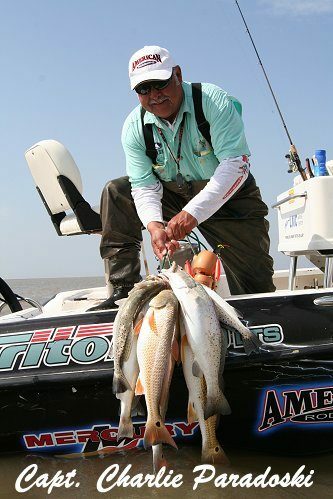 The Matagorda Texas Bays area are famous for outstanding fishing. Give Capt. Charlie Paradoski a call and he will show you why!